"Skyfall" could be coming a day (or two) early to your local cinema, thanks to a series of gala nights arranged to support some of the UK's most worthy charities. MI6 rounds up the details of what guests can expect and how to book your tickets. Click on a location to visit the charity website - or contact the organisers - for more details. Unless otherwise stated in the "Attractions" column, all premieres are taking place on Thursday, 25th of October 2012. Black tie gala screening on Wednesday 24th October. NOW SOLD OUT. Dorchester Odeon Wessex Autistic Society TBC £20 Introductory talk by Anthony Waye, executive producer of Bond films. Portsmouth Vue Cinema FSID 7pm £30 Bubbly and canapé reception. Hull Cineworld FSID 7pm £25 Raffle, red carpet, dress up prizes and popcorn. Brighton Odeon FSID 7pm £35 Black tie champagne reception. Hatfield Odeon FSID 6pm £30 Black tie canapé reception, raffle, auction & goodie bag. Hereford Odeon FSID 7pm £25 Drinks proceeding the screening. Bristol Cinema De Lux Wallace & Gromit's Grand Appeal 7pm £75 Black tie champagne and canape reception. Nuneaton Odeon Mary Ann Evans Hospice 8.45pm £12 Red carpet reception, Bond cars on display. Bognor Regis Picturedome Winston's Wish 7.30pm £30 Q&A with screenwriter Robert Wade, raffle, goodie bag. Cardiff Cineworld Cancer Research Wales TBC £25.00 Black tie screening. Ipswitch Cineworld East Anglian Air Ambulance TBC £50.00 Black tie pre-film drinks and charity raffle, Bond cars, red carpet, IMAX screening. Ayr Odeon Ayrshire Hospice 7pm £25.00 Red carpet arrival, champagne and canapes. Dublin Savoy LARCC 7.30pm €50.00 Wednesday 24th October screening. Goodie bag, post-film Heineken drinks reception. 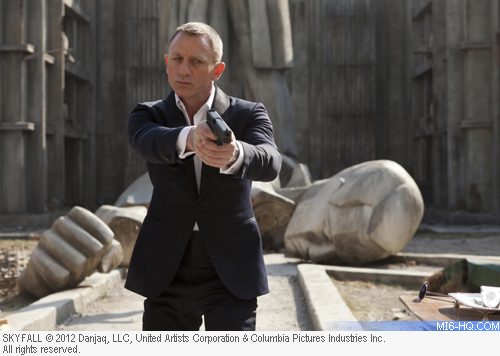 If you are organising or attending an unlisted "Skyfall" regional premiere, please get in touch with our editorial team.